Shwe is a father who needed to make a life for his wife and infant child. He wanted to give them a good place to live and regular meals to eat. He felt the pressure to provide each day as he looked for work as a day laborer. But, there was little work available in his area outside the illegal drug trade. Shwe refused to labor in opium fields because he had devoted his life to Christ and he didn’t want to become involved in such a destructive and unbiblical business. So, the man trusted God for another way to make the money his family needed. And, God used people like you to create a new kind of job for Shwe. Your gifts helped fund a model farm where local growers could learn better agricultural techniques. You helped buy and clear the land where BGR partners could grow high-quality corn, black pepper plants, and fruit trees. You helped pay for the seeds that flourished into profitable crops. You helped purchase animals that could add income to the growing enterprise. And, you also helped provide jobs for workers like Shwe. BGR partners now give Shwe a fair wage in return for his work on the farm, and they also have provided him with a simple, clean place to live with his young family. 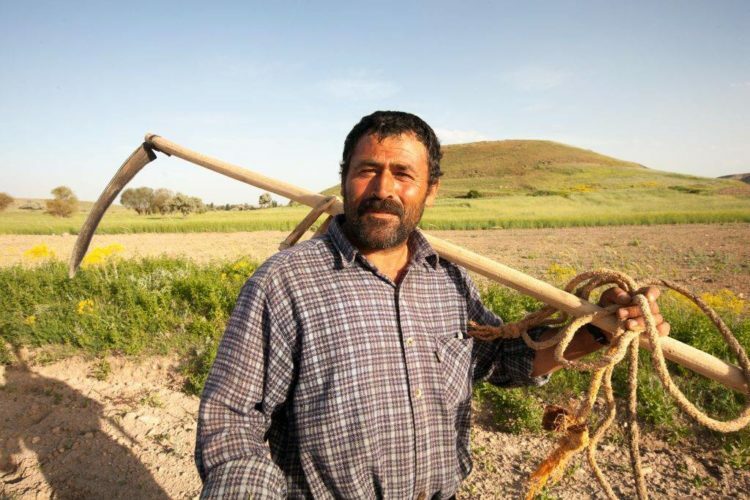 As the the man works, plowing fields and planting seeds, he learns more about both agriculture and his Christian faith from the project staff. Then, at the end of each day, Shwe returns to a peaceful home and a healthy family. Thank you for making Shwe’s story—and so many others—possible through your prayer and support. If you feel led, please give toward other agriculture projects so more fathers like Shwe can feed and house their families through honest means.